HOW MANY WORDS CAN YOU WRITE WITH THESE LETTERS? 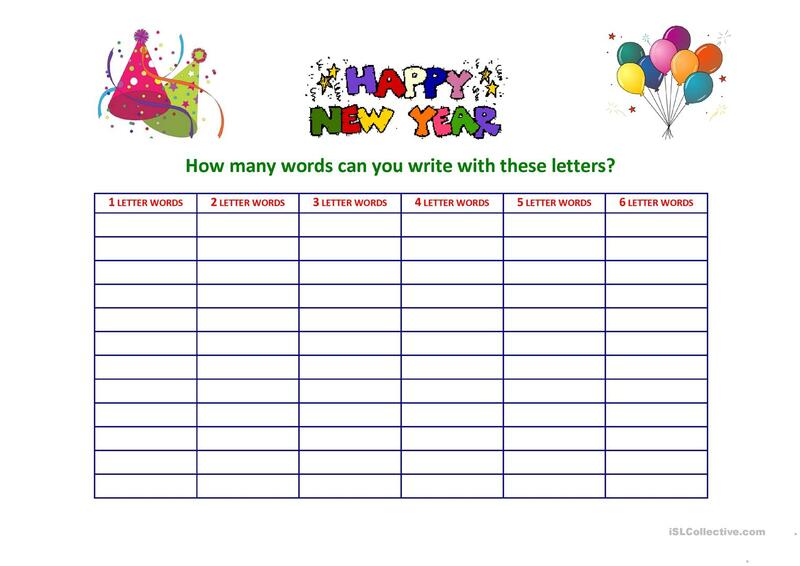 Using the letters from "Happy New Year" the students create new words. This printable, downloadable handout is intended for high school students and elementary school students at Elementary (A1) and Pre-intermediate (A2) level. It is excellent for strengthening your learners' Writing skills. It is about the theme of Christmas.